and textures of any event environment, he will begin designing garments that will make you look and feel beautiful. decision with which one-of-a-kind design you wish to proceed. muslin fabric, which allows our expert patternmakers and fitters to adjust the fit in the next step. By fitting the garment in cotton muslin first, we avoid any unnecessary manipulation of the final fabric while the fit is fine-tuned to your body. This is an essential step to ensuring the final garment makes you look and feel your absolute best. It is at this point in the process, that the design lines are adjusted to your proportions, and slight design modifications can be addressed. After your muslin garment has been adjusted to fit your body perfectly, we then use that one-of-a-kind pattern to construct your final garment. Our expert in-house team uses exquisite fabrics, hand-stitched embroidery, custom lace and appliquu00e9s, hand-tooled leathers, custom furs, and whatever premium embellishments are necessary for your garment design. At the final fitting, your garment is triple-checked for quality and perfect fit, and details are provided as to the care and cleaning of your finely constructed garment. When you leave Michael Faircloth's studio, you leave with a one-of-a-kind couture garment that has been designed in-house and expertly constructed for you, with the finest materials in the world. During your initial client consultation, Michael will visit with you to discuss your specific needs. Before we even get to measurements, we take the time to understand not only the details of your event, but the particular voice you want from your dress, and what makes you feel your most beautiful and confident. Michael's expertise allows us to celebrate and accentuate what you love about your body, as well as divert attention from those aspects less favored. 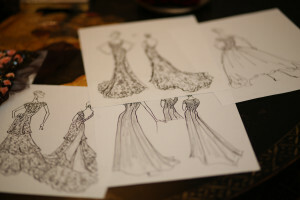 Keeping in mind the lighting, colors, and textures of any event environment, he will begin designing garments that will make you look and feel beautiful. With a first-hand introduction to your event, your personality, your body, and the statement you want to make, Michael will create several hand-drawn sketches of garment designs and concepts to meet your specific needs. During this visit, we will also begin discussing fabric options with you, while providing samples from some of the finest fabric mills in the world. Each option is carefully explained and discussed with you, and you will be assisted in making a decision with which one-of-a-kind design you wish to proceed. Based on the design you have selected, a pattern for the garment is created, based on your unique body measurements. 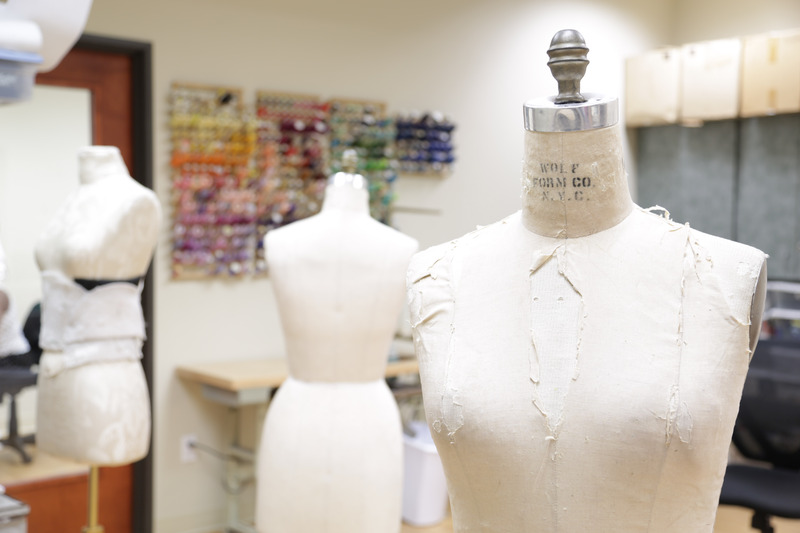 The use of hands-on draping techniques allows our team to construct the garment to your measurements and Michael's unique design specifications. The garment is initially constructed using cotton muslin fabric, which allows our expert patternmakers and fitters to adjust the fit in the next step. After your muslin garment has been adjusted to fit your body perfectly, we then use that one-of-a-kind pattern to construct your final garment. Our expert in-house team uses exquisite fabrics, hand-stitched embroidery, custom lace and appliqués, hand-tooled leathers, custom furs, and whatever premium embellishments are necessary for your garment design. At the final fitting, your garment is triple-checked for quality and perfect fit, and details are provided as to the care and cleaning of your finely constructed garment. When you leave Michael Faircloth's studio, you leave with a one-of-a-kind couture garment that has been designed in-house and expertly constructed for you, with the finest materials in the world.